March 29, 2019 — Sen. Tom Udall (D) surprised the political world on Monday when he released a video announcing that the will retire when this session of Congress adjourns instead of running for a third term. Though he appeared to be a lock for re-election, the 70-year-old senator said it was time for him to look for other political avenues from which to contribute. Potential Democratic successors are wasting no time. Later today, state Attorney General Hector Balderas (D) is releasing a video message that will presumably contain his Senate announcement. He may soon have company from Secretary of State Maggie Toulouse Oliver and US Rep. Ben Ray Lujan (D-Nambe/Santa Fe). Balderas is no stranger to statewide office in the Land of Enchantment. After winning a seat in the state House of Representatives in 2004, the freshman legislator was elected state Auditor in 2006. He then ran for an open Senate seat in 2008, but decisively lost the Democratic primary to now-incumbent Sen. Martin Heinrich (D). 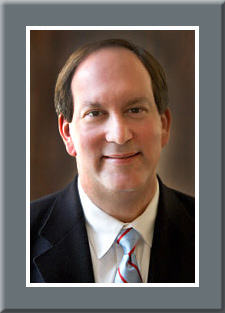 He was re-elected Auditor in 2010, and then ran for, and won, the attorney general’s post in 2014. Balderas was re-elected in November with 62 percent of the vote. Though he ran for re-election last year, it was originally thought that Balderas would challenge Rep. Michelle Lujan Grisham (D-Albuquerque) for the open gubernatorial nomination. But, Grisham opened with a large lead, took advantage of her strong inside connections, and Banderas, knowing he could not afford to lose another statewide race, decided to stay put. Therefore, instead of running for governor, he made a major public production of supporting Grisham and unifying the party for the gubernatorial push. That move may well pay-off for him in this open Senate election. March 28, 2019 — Sen. Tom Udall (D-NM) and Rep. Jose Serrano (D-NY) both made public on Monday their intentions not to seek re-election in their respective houses of Congress. The Udall announcement was a surprise, and we updated our outlook on his open seat in our 2020 Senate Review, Part III, yesterday. Retirement rumors had begun to swirl around Rep. Serrano, especially with New York City Councilman Ritchie Torres (D) last week declaring his intention to run for the congressional seat. Sen. Udall’s announcement saying that he will not seek a third term was unexpected. Both parties are now scrambling to see who will begin to line up to run for the open seat. There is no question that Democrats will be favored to hold the seat but the new campaign evolving into a competitive battle is not out of the question. 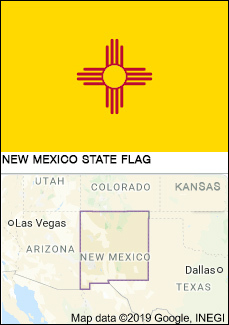 Though Republicans last won a New Mexico Senate seat with the late Sen. Pete Domenici’s last victory in 2002, the party did elect Susana Martinez governor both in 2010 and 2014. Though Gov. Martinez’s approval numbers were low when she left office, she would have to be considered a possible, and viable, Senate candidate. Additionally, former US representative, and Senate and gubernatorial nominee Steve Pearce (R-Hobbs), who is now the New Mexico Republican Party state chairman, will also likely surface as a potential candidate. Maine – Sen. Susan Collins (R) – Sen. Collins appears near the top of the 2020 Democratic target list, but she may not be as vulnerable as it might appear on paper. The four-term senator is a good fit for her constituency; she racked up win percentages of 67 and 61 in her past two elections (2014; 2008) and, unless Rep. Chellie Pingree (D-North Haven/ Portland) runs, the Dems don’t appear to have a top tier candidate.